This shouldn’t be news to anyone, but your average Dallas, TX home contains more “smart” devices than ever before. Nest thermostats may have brought the trend to the mainstream, but Alexa, HomeKit, Sonos, and others have taken that momentum and run with it. 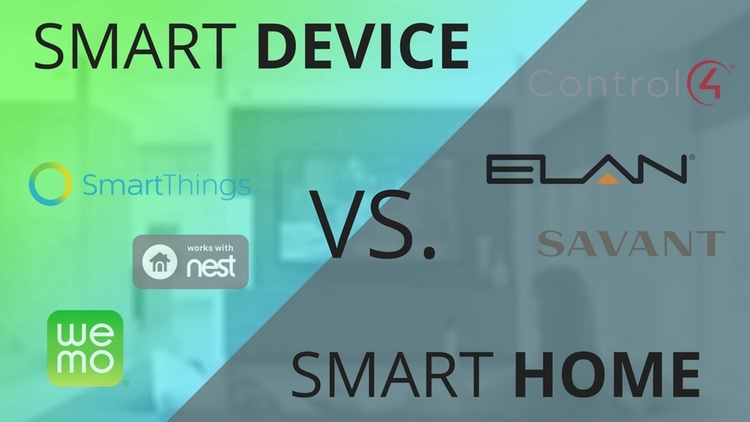 You might think that adding a few of these devices would take you to the pinnacle of the “Smart Home”, but is there anything that is missing from these consumer or DIY devices that is available in the professional systems like Control4, ELAN and Savant? Let’s take a look. The primary role of a system like Control4 is to integrate different devices, making it easy for you to control them all from one place. One place doesn’t just mean your smartphone or tablet, it means a single app that not only controls them, but coordinates them. Watching a movie with the family? Your Savant system can dim the lights when you start the movie, crank the air conditioner down a few degrees, and close the shades to block the glare on your screen, all automatically! Leaving on vacation to escape the Dallas summer? Simply setting your alarm can adjust your thermostats, turn off your lights, lock your doors, turn off your TVs, and have your security cameras alert you to movement in your yard. Much like a recipe, the ingredients are often ok on their own, but they are great when they are combined in the right order, by the right person. Many of the DIY smart home solutions are good at things like lights, motorized shades and thermostats. Often they can incorporate music and camera as well. Where most of them struggle is giving you a powerful experience for your TV rooms. A system like ELAN offers a remote that can seamlessly control your A/V and the rest of your devices. In fact, the remotes of the professionally installed systems can also control the rest of your house. Flipping channels and want to turn the fan on? 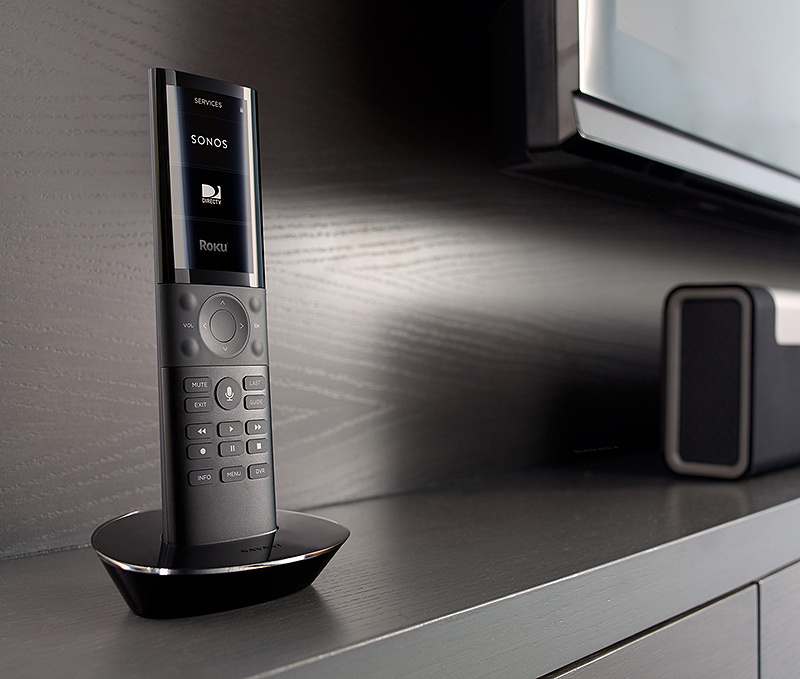 Hit a button on your remote from your couch and have Lutron do it for you. Done watching TV and want to listen to music instead? Just use the remote to start music as you turn the TV off. Systems like Control4, ELAN and Savant are designed to control everything from a single room, to a multi-million dollar estate, to a large corporate office. In large residential and corporate environments reliability and uptime are essential, and those customers will do whatever it takes to ensure that is what they receive. DIY components are often built to attain very specific, retail-friendly, price points. That isn’t to say that professional systems are expensive, only that they are designed to perform first, and then value-engineered to make them as affordable as possible without sacrificing performance. Believe me when I say they don’t hit those price points by making less money, they do it by spending less on the product they are selling. One of the best things about a custom installed smart home system is that it is a turn-key solution. This might be bad news if you enjoy tinkering with electronics to get your lights to turn on, but for most of us we just want our homes to work. If you have a career and a family you likely would gladly pay for more time. A professionally installed smart home system is essentially purchasing time. Less time spent turning off lights behind your kids, less time opening and closing windows, less time messing around with thermostats that never work as planned, etc. If you think you would like a home that works for you and a company that respects your time, give Audio Video Innovations a call today. We are happy to design a custom Dallas smart home system for you, for free. Call today to find out how we can help!